Here is a glimpse into what I post on Facebook that isn’t posted here. They are meant as encouragements to my fellow believers. Some are for non-believers in my own circle as well. Some later become posts on this WordPress site, some don’t. and the earth and everything in it will be burned up. You can obey. After all, you love Him right? He didn’t give us this command to hurt us – He gave it to us BECAUSE He loves us – to HELP us! if you reprove a wise man, he will love you. The sad thing for me is how easy it is for many that profess to be “believers” to discard any of the text that doesn’t work with their own version of life or understanding of God . . .
Needless to say, I realize for many believers my life and my lifestyle are too much to take. The quickest way to clear out a church coffee shop? Start talking about the word of God . . .
Quickest way to gather people around you in a church coffee shop? Start talking about something worldly like football or Hollywood . 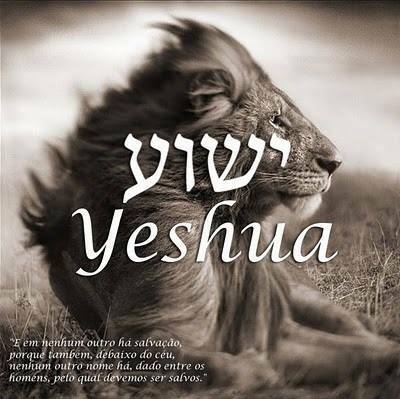 . .
KEEP YOUR PROMISES to ADONAI because if you don’t, you are PROFANING His Name . . .
With a divorce rate that is 50% for non believers and even higher is some instances for nominal or secular believers, the oath of marriage before Adonai could be viewed as profaning his name . . .
and not ‘by Yerushalayim,’ because it is the city of the Great King. It is my own experience that when people that quote the text of Facebook, they quote just a single verse. I don’t like to do that unless we are deleving into specific words and meanings within a single verse. My reasoning? CONTEXT! We need to learn the entire thought, not just part of it (the context). to confront you and get you to change. it was I who became your father by means of the Good News. my beloved and trustworthy child in the Lord. and teach everywhere in every congregation. 5 One of the elders said to me, “Don’t cry. Va•yo•mer e•lai e•chad min – haz’ke•nim al – tiv•ke hee•ne ga•var ha•ar•ye mi•she•vet Yehooda sho•resh David lif•to•ach et – ha•se•fer ool•ha•tir shiv•at cho•ta•mav. 1) Fathers teach their children how to live a good and fulfilling life. They teach us about: respect – right from wrong – good from bad – about marriage – about the kind of people we should hang out with – about integrity – about manners – the golden rule – to tell the truth – have a good work ethic – charity – mercy . . . If we respect our father and learn these lessons . . . these values – if we value and adopt his values and teachings instead of rebelling against them and him, he can be proud of us. He will tell others how proud he is of us. 2) Fathers want their children to have a better life than them. They work hard and make a business to take care of their family. From bible times to now, fathers teach their children a trade and bring their children into the family business so that they can have a fulfilling life and not have to want for anything. If being Holy because he is Holy is his business – – – If conducting our lives like he conducted his is the business – – – If the bible is the company manual – – – If being worldly is a business principle that the business rejects . . .
Are you running the “family business” in a way that that honors your father? Are you content to be in that “business?” Is he proud of what you have done as part of the business? Some questions you should ask yourself. . .
Would you lie to someone you actually love? Would you plot behind their back if you truly loved them? Would you murder them with your tongue if you loved them? would you be part of a conversation that did if you loved them? Would you sleep with their wife or husband if you loved them? Would you steal from them if you loved them? Would you want their material possessions if you truly loved them? Would you call them pagans if you truly loved them? Would you sanctify yourself at THEIR EXPENSE if you truly loved them? for whoever loves his fellow human being has fulfilled Torah. therefore love is the fullness of Torah. This verse is clear – this verse in a warning to some and an indictment against others . . .
and therefore your Torah is hollow and meaningless. A lack of love for your brother and harming others could literally be called anti-Torah . . .
WHY is our WALK and our TALK as believers supposed to be an EXAMPLE to others? A LIGHT? And why are so many that think they are a light are actually BURNED OUT BULBS (darkness) . . .
Israel wanted what the world wanted – what the world had . . .
To be a LIGHT . . . Yes, it uses the word for SALVATION in this verse . . . Here is the point . . .
God’s name is His reputation . . .
full of grace . . . full of mercy . . . . forgiving sins . . . sending his son . . .
As believers, you are to be a reflection of these things – – – a REFLECTOR reflecting HIS LIGHT? If you poorly reflect who he is, you are besmirching his reputation! You are blaspheming his NAME! If you tear down those that actually abide in HIM – his TEMPLE, then you are also blaspheming the temple . . . and tearing down his reputation in the process . . . defaming Him by defaming them . . . I can’t say that strongly enough . . .
How can we understand how to be this reflection of HIS LIGHT? There were two commands considered the most important commands . .
Ironically, in the Greek, the word for dependent can also be used for the word crucify as well . . . I will let that statement and its implications sink in for a minute . . .
came up and heard them engaged in this discussion. And after that, no one dared put to him another sh’eilah. that you keep on loving each other just as I have loved you. You think Yeshua is trying to make a point?!? How did Julie and I survive 30 years of marriage as 2 separate and distinct couples? The first 15 years were pure stubbornness. Both of our parents were divorced in our childhoods. We were determined to not be a statistic, and if truth be told, we didn’t want to have to admit that we were no better than our parents – we just thought we were. We hurt ourselves and in the process hurt our children. Our second 15 years are because we put God at the center of our relationship. We valued each other based upon the value that God gives us in His word. We practiced tearing up our lists of accusations. We practiced kindness. We practice humility. We did this because God comes before our spouse. In honoring God, we honored each other. This is a glimpse into my daily life outside of this WordPress site. The sources are not always cited in every instance like I do on WordPress because they were Facebook posts. This entry was posted in Verses and tagged Facebook. Bookmark the permalink.